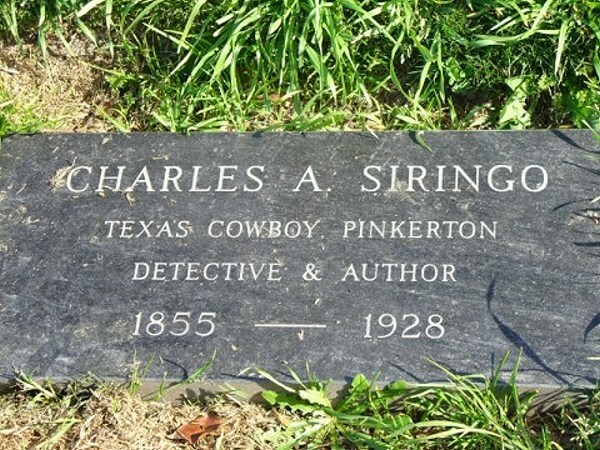 Legendary Western Lawman, often portrayed in historic films (often inaccurately), Pinkerton Detective, Author. Though he was known to be a good shot, he took great pride in the fact that most of his arrests occurred with no violence. He tracked Billy the Kid (a friend) and Butch Cassidy's Wild Bunch (which he infiltrated as an undercover agent). Was also friends with Pat Garrett, Bat Masterson, Will Rogers and William S. Hart. (Added: Tue Jan 02 2007 Hits: 1712 Rating: 10 Votes: 2) Vote Now!